Though we do drive occasionally--Modo cars or rentals for longer trips--we tend to use our bikes when we're going somewhere between 2 & 12-ish kilometres away. 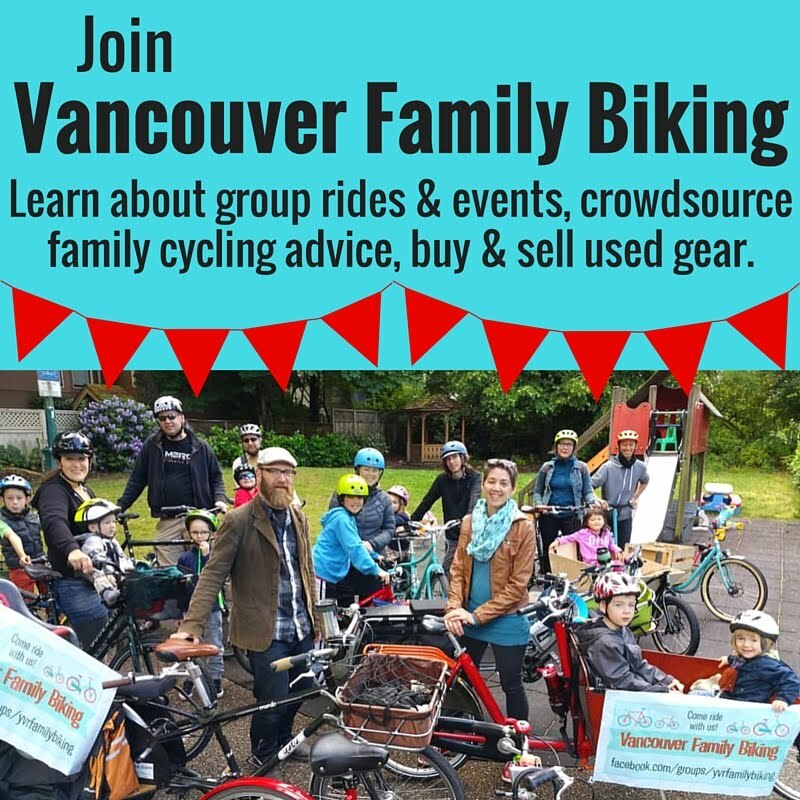 This means we go out with the kids on the bikes, we run errands on the bikes, we shop for groceries on our bikes, we do growler runs & recycling dropoffs on our bikes. Pretty run of the mill stuff, generally, & not that big or heavy. 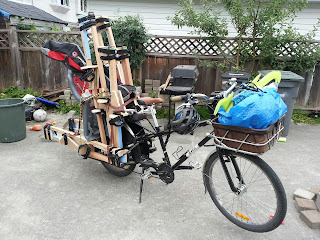 However, occasionally I like to challenge myself to haul some interesting objects on two wheels, since we do have a cargo bike with huge capacity. 100 paving bricks in three trips, carrying around 350 pounds at a time, including Linnaeus. 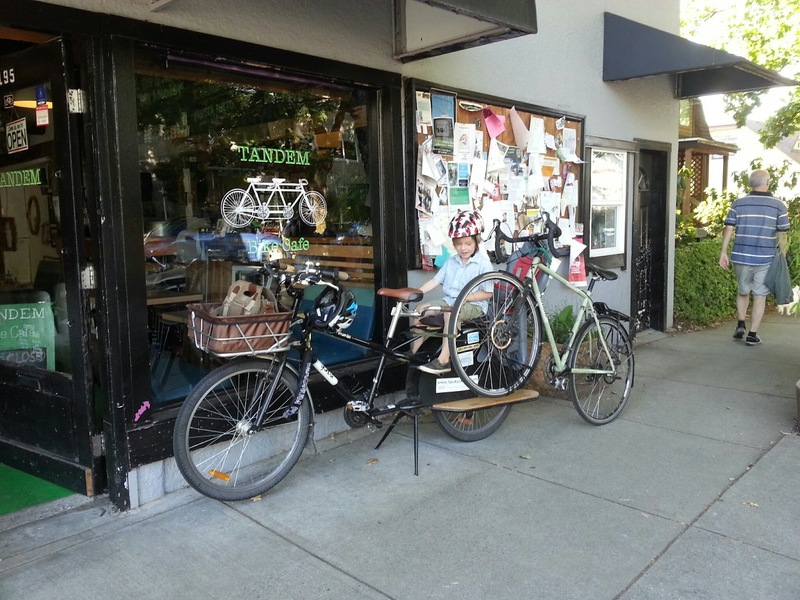 Another bike--the Yuba Mundo can easily tow an adult bike behind it. Handy for taking it to the shop! I love having a bike that can handle loads like this. When we went shopping for a new blender, we didn't even bring the GoGetter bags or any straps. The big box just fit into the Bread Basket on the front of the bike, no problem. Of course, you don't need a cargo bike to carry interesting stuff. 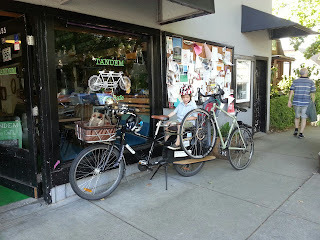 Before we ever got our Yuba Mundo or even our child trailer--they can be great for cargo too--we carried things like a 14 pound frozen turkey, a new DVD player, a wooden chair, 40-pound bags of kitty litter, & many small Costco shopping trips. How about you? What's the most interesting or largest thing you've carried on your bike?